The bathroom can be an interesting as well as a fun décor project in the home. Where to begin is the first challenge. There are focus points that should be considered and then build your design elements around them. If this is a redo, the first thing to be considered are the things you are not going to change. 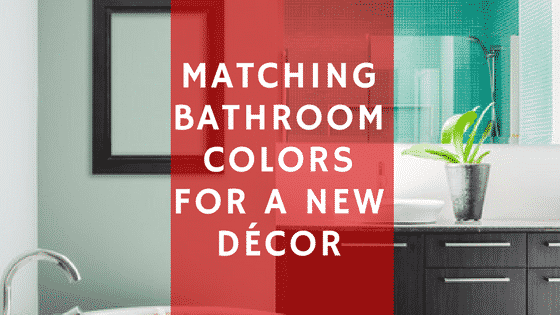 Bath fixtures such as flooring, wall and bath tiles, plus the tub, sink, and toilet may have colors that you will have to consider in your decorating scheme. Next is the color combo you are interested in using for your redo. Here are the chicken and the egg challenge. Do you start with the new color for the walls or do you start with a shower curtain design you like or towels that have a color you love? Usually, the statement piece in the bathroom is the shower curtain unless it is a neutral solid color. It is large and often sets the stage for your theme. Towels play a large part also. When you enter the room, towels are generally found on several walls. They are always attention getters as they carry your theme throughout the room. Once again, fixtures colors must be a part of the color scheme. here is when you decide to either go down to your local paint store scanning the swatches or start looking for a shower curtain and your new towels. If your bath is small, you will want to use lighter colors to brighten the room and make it appear larger. A large bathroom can carry larger, bolder designs and more intense colors. It’s a fact that decorating styles and change with the seasons. In your quest, it may be easier to find the shower curtain adding towels with coordinating rugs first. When adding colors to a room, the rule of thumb is to have a light, medium, and dark tone in your color scheme. The wonderful thing about paint is the color palette is almost endless. They say to save the best for last. You can take your shower curtain or towel down to your local paint store and they will do the magic match. If they don’t have the right color on their swatch board, they will mix the exact paint color you need. For an easy clean, bath walls should be a semi-gloss and trim a gloss. You may want to prime with a primer that reduces mildew if there are any ventilation issues or the room is without windows. Usually, the room is too small for two color accent walls. However, the ceiling can be a different color. Also, some like wallpaper accents for interest. Be careful not to make the room look too busy as well as making it look closed in. Your local paint store often carries wallpaper samples if this is a decor scheme you wish to pursue. They can help you match wallpaper color with a custom paint color that will blend or match. Building a new house is exciting and exhausting. This does give you the opportunity to coordinate a color scheme including flooring, tiles, and fixtures. Think long-term about these colors. Choose wisely to allow for future updates and redos. If white is not your thing, choose neutral colors that can be played off of many ways in the future. Your local paint store can help with proper prep ideas and colors. Create room colors that relax and soothe you. Choose a color scheme that you can mix and match accents for a quick change-up. The bath is a private room that can reflect your personal tastes. Let your local paint store partner with you to help bring your décor scheme together for a spectacular result.